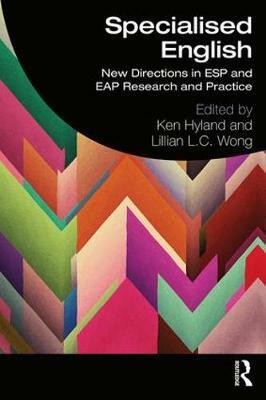 Specialised English is essential reading for upper-level undergraduate and postgraduate students and researchers in EAP/ESP and applied linguistics, as well as pre- and in-service teachers and teacher educators. Ken Hyland is Professor of Applied Linguistics in Education at the University of East Anglia. He is a Foundation Fellow of the Hong Kong Academy of the Humanities and an Honorary Professor at Warwick University, Jilin University and Hong Kong University. Lillian L. C. Wong is a Senior Lecturer in the Centre for Applied English Studies at the University of Hong Kong. She researches innovation and change in English language education, EAP and ESP, and has extensive experience developing, teaching and coordinating undergraduate, postgraduate and teacher education programmes.